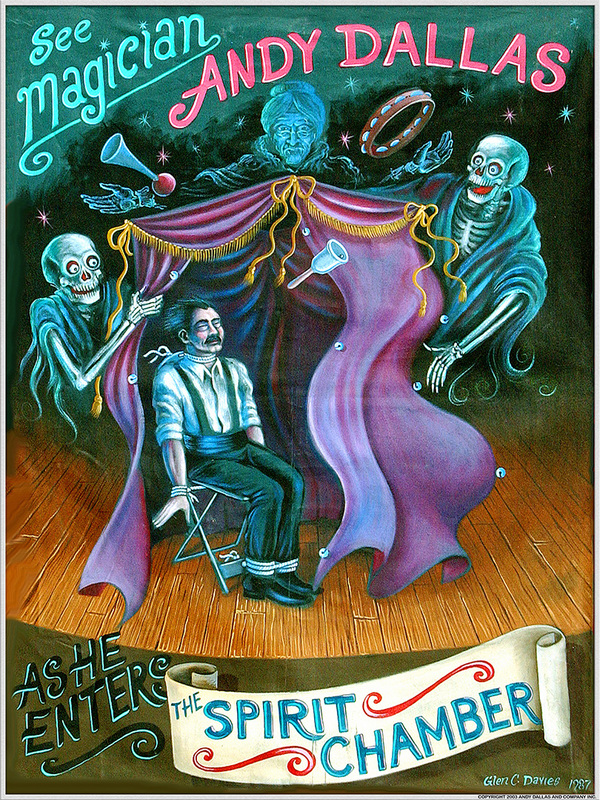 After meeting several banner painters and admiring their unique livelihood, I began producing canvas banners for escape artist Andy Dallas. Typically these small banners measured approximately 54 inches by 42 inches or bigger. 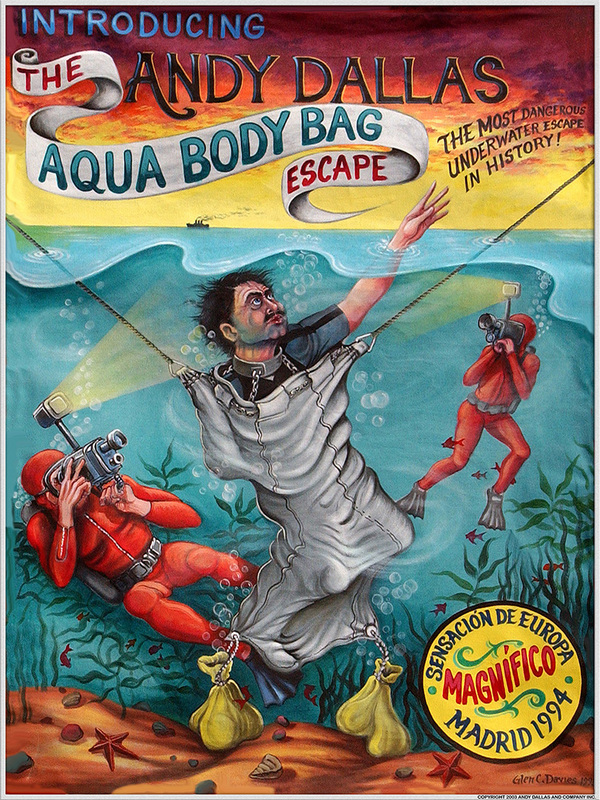 Beginning in the 1980s and continuing on up to the present time, I have painted a series of banners promoting his escapes and illusions—including such titles as The Spirit Chamber, Aqua Body Bag Escape, Triple Death Trap, and Water Torture Escape. Later, Andy Dallas took these canvas banners and had them converted to posters.